If you are a MS Outlook user and you need to convert Outlook PST to VCF file format further vCard is an electronic business card that is used for exchanging personal information such as name, address, phone number, and e-mail address. Now it is very easy to convert Outlook PST to VCF format with our MS Outlook PST conversion tool. This PST to vCard converter requires no special knowledge to convert PST files. The user friendly wizard of this software will help you to do all the settings when you want to import Outlook PST to VCF. This Outlook PST conversion tool performs PST to VCF conversion in batch mode to save your time and effort. Supported OS - Win 98, Win 2000, Win 2003, Win 2008, Win XP, Win Vista and Win 7. 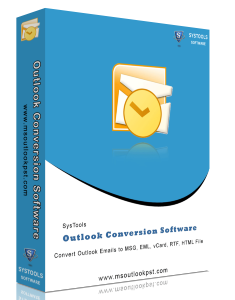 To convert Outlook PST files to vCard files, just select the PST files to be converted then click “Start Conversion” button to convert Outlook contacts to vCard file on Outlook Conversion software user wizard. Then software will display Convert Outlook Mailbox window to select the saving file formats or saving options. To convert Outlook files to vCard file, choose “Save as .VCF” and click “Convert Outlook Mailbox” button.